Square Enix today announced its latest title in the critically acclaimed and award-winning Tomb Raider® series, Rise of the Tomb Raider ®, will be available for Windows 10 and Steam in early 2016. The game will be a console exclusive to Xbox One and Xbox 360 for one year after its initial launch, coming to PlayStation® 4 (PS4) in Holiday 2016. Renowned developer Crystal Dynamics, a Square Enix studio, is leading development in the latest entry in the iconic series for additional platforms. In the critically acclaimed Tomb Raider, Lara Croft survived a harrowing experience only to be discredited as part of a cover up. Now, after uncovering an ancient mystery, Lara must explore the most treacherous and remote regions of Siberia to find the secret of immortality before a ruthless organization known as Trinity. Lara must use her wits and survival skills, form new alliances, and ultimately embrace her destiny as the Tomb Raider. Experience high-octane action moments, conquer beautifully hostile environments, engage in brutal guerrilla combat, and explore awe-inspiring deadly tombs in the evolution of survival action. In Rise of the Tomb Raider, Lara becomes more than a survivor as she embarks on her first great Tomb Raiding expedition. 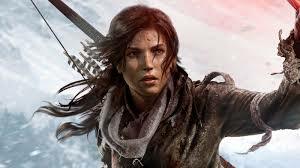 Rise of the Tomb Raider will premiere first, exclusively on Xbox One and Xbox 360 on November 10, 2015. For more information on Rise of the Tomb Raider, please visit the official website and follow us on Facebook and Twitter.